I’ve been painting furniture long before it was cool and trendy. Yep. That’s me. A trailblazer. Just kidding. Years ago I just happened to have a big ugly piece of furniture with a laminate-type finish and I wanted to change the color of it. So I did the only thing I could think of. I painted it. Ever since I’ve been painting furniture for one reason or another and in those over 20 years, I learned the easiest way to paint furniture. With a paint sprayer. But not any old paint sprayer will do. I only use the HomeRight Super Finish Max paint sprayer . Here is a tale (but true story) of two pieces of furniture in my house in need of painting. 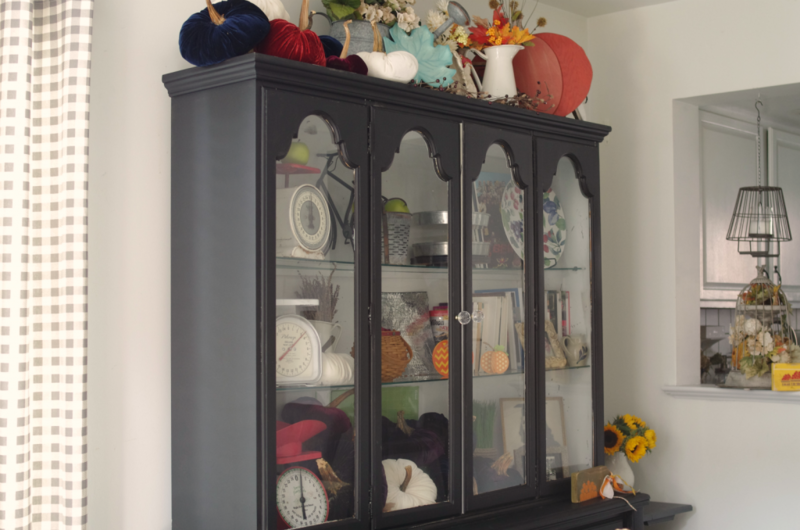 One is a large, two-piece hutch – I mentioned this in the first paragraph. I bought this hutch at an auction many, many, many years ago. Long before there were blogs and chalky style paint. 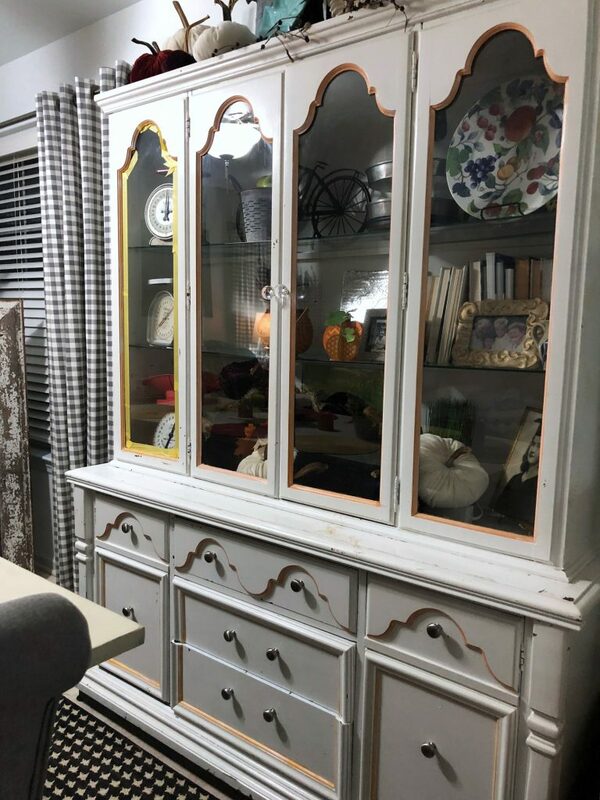 I hated the finish of this hutch. It was dark and shiny. Almost like a laminate. But I liked the lines of the piece and most importantly, I liked the storage capacity. Because I disliked the finish so badly I did the only thing I could think of. I painted it. This was back in the late 90s. 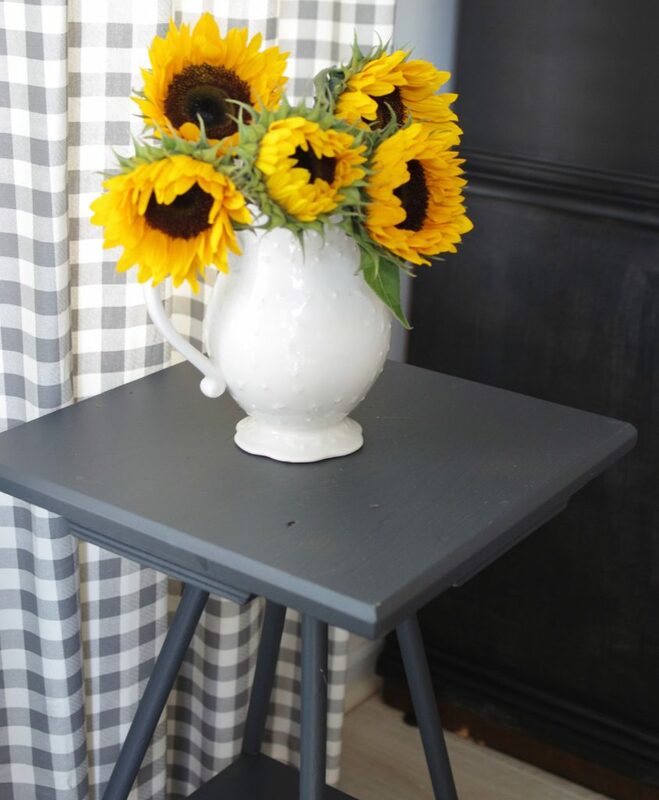 As I said, there was no such thing as chalky style or milk paint. There was latex paint and there was oil-based paint. That’s about it. Oh, I suppose there was spray paint in a few colors but since this piece is pretty big that wasn’t even an option. I went with latex paint. It took several coats and a lot of it ended up chipping off. Keep in mind, this was also before “chippy” was considered chic. But I didn’t care. At least it was no longer a dark and shiny faux wood grain. And I was quite proud of it ; ) I know. How could I be proud of this???? What was I thinking!? In my defense, at least I changed out the knobs. You should have seen what was on there! Fast forward almost 20 years. I brought this monster up into my family room from the basement to provide the storage we needed. We have lived with it like this for a while. I knew I would eventually repaint it. And that day finally came! Now take a look at this beauty! 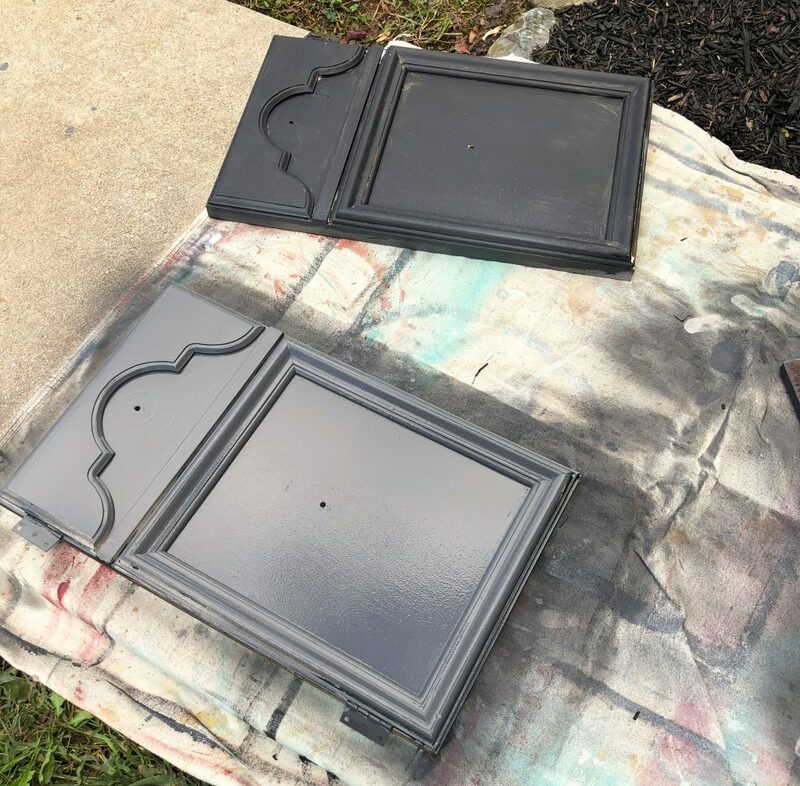 Now because this hutch is so massive and heavy, I took off the doors and took out the drawers and carried them outside to paint with my beloved HomeRight Finish Max paint sprayer. They were done in less than hour and that was allowing the first coat to dry. Meanwhile, the base and the top of the hutch had to be painted the old-fashioned way. With a brush and a roller. Ugh. I still need to roll on another coat. Why didn’t I take them outside to paint with the HomeRight Finish Max you ask? Because they weight a ton! There’s no way these were able to get moved outside. Believe me, I would have if I could have! I said earlier something about TWO pices of furniture. Here’s the second. 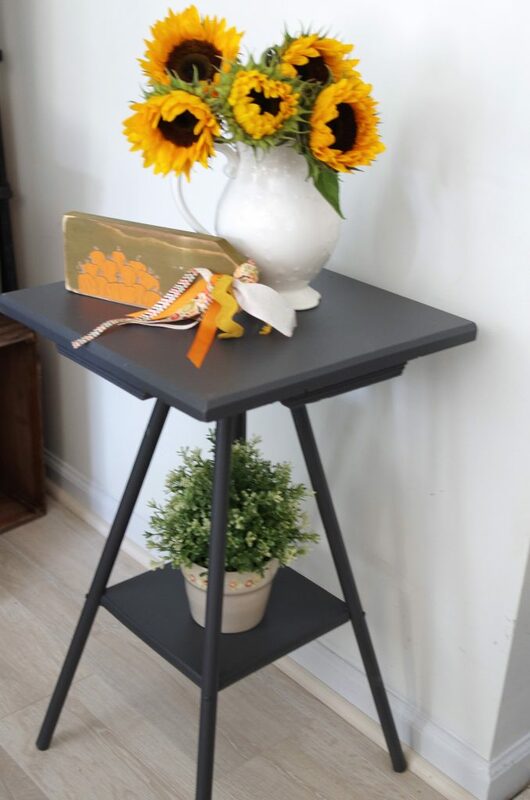 It’s a small accent table that I picked up at a sidewalk sale outside of a thrift store. It was exactly what I was looking for: a display table to use for photographing small blog projects. It just needs a little love. A little love in the form of a good cleaning, sanding, and painting. 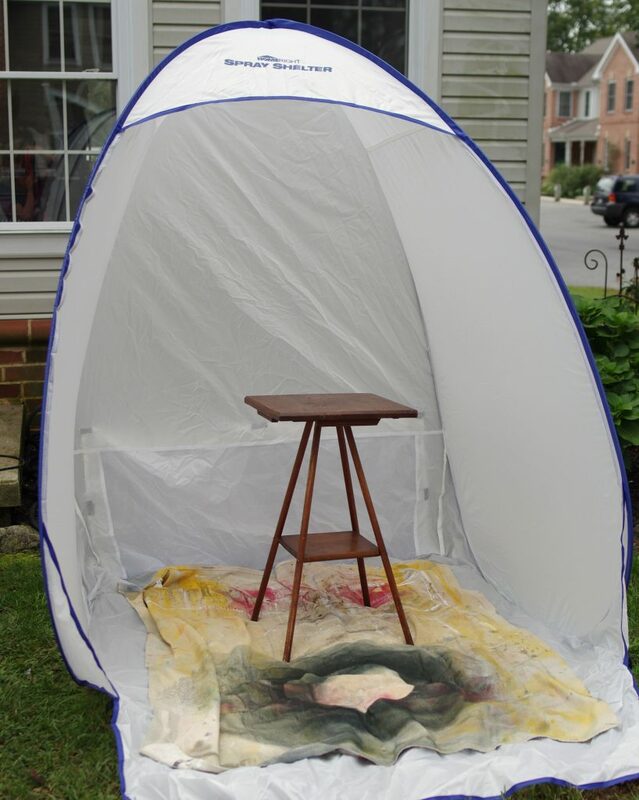 It was a windy day when I sprayed on the primer coat so I quickly got out my HomeRight Spray Shelter . The spray shelter is a must-have! It goes up with a flick of the wrist (see video below) and folds back down super quickly. Now that’s more like it. Exactly what I wanted! 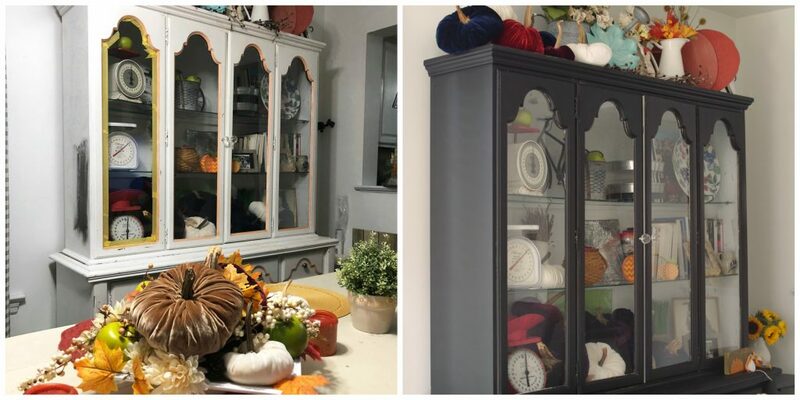 I certainly have painted a whole lot of furniture in these past 20 years (click here to see more) and have certainly learned a lot along the way. 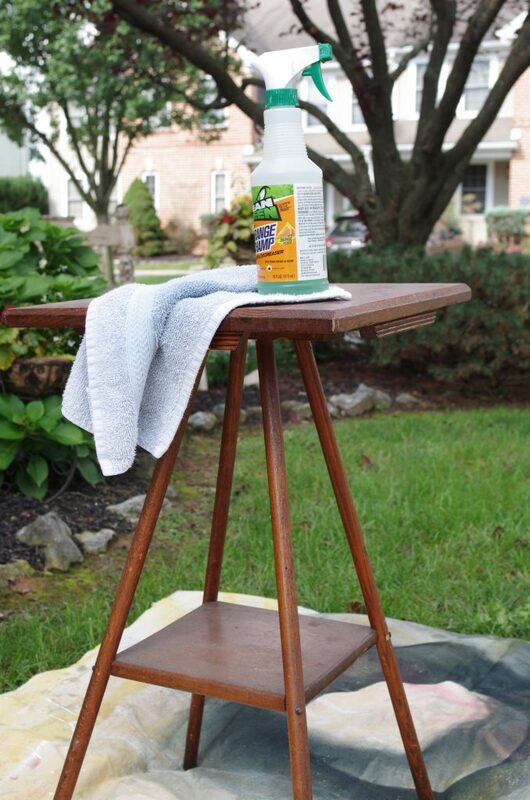 But by far the easiest way to paint furniture is by using a HomeRight Finish Max paint sprayer. No doubt about it! I love the before and afters of painting posts. Paint is the best way to get a new look. 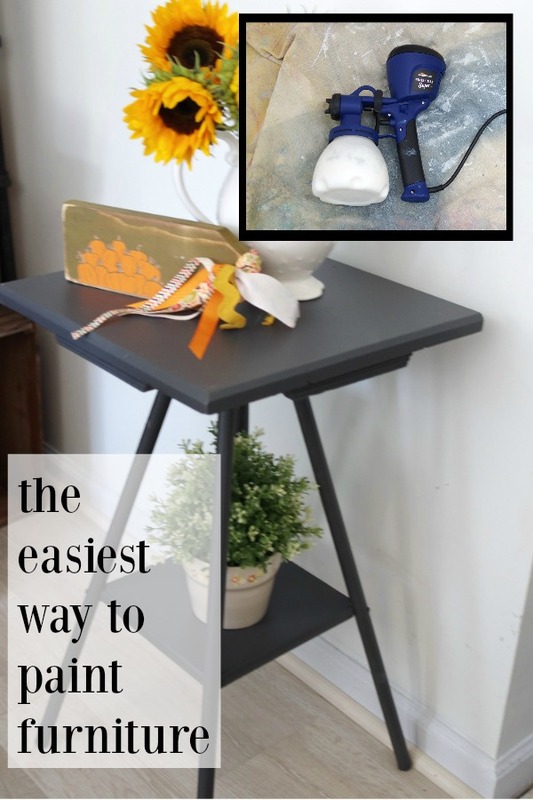 Painting furniture is a tough task but through your post, I found it very easy to paint furniture. Paint is the best ways to give your house a new and refreshing look.